Isabella is just twelve years old when she marries Edward II of England. For the young princess it is love at first sight - but Edward has a terrible secret that threatens to tear their marriage - and England apart. Who is Piers Gaveston - and why is his presence in the king’s court about to plunge England into civil war? The young queen believes in the love songs of the troubadours and her own exalted destiny - but she finds reality very different. As she grows to a woman in the deadly maelstrom of Edward’s court, she must decide between her husband, her children, even her life - and one breath-taking gamble that will change the course of history. Does she submit to a lifetime of solitude and a spiritual death - or seize her destiny and take the throne of England for herself? This is the story of Isabella, the only woman ever to invade England - and win. I love reading a book that begins with a young girl that I can watch grow into a strong women, where I can witness her change from childhood to adulthood. That is what Colin Falconer has delivered with Isabella: Braveheart of France. Introduced to Isabella when she is just 12 years old and marries King Edward II, she knows her role in life, her father, the king of France, made sure she understood her place. She wants to be a good wife, a good queen and most of all she wants to be loved and cherished. There were times in this book that I had to stop and remind myself that Isabella was raised in the French court, she was mature beyond her years and she proved that in the English court. It's too bad that Edward II had issues, some serious issues. Where Isabella is self confident and strong, Edward II is the opposite. I enjoyed the fact that I knew nothing about Isabella before starting this book. For me the book started off a little slow and I had a hard time getting into it, but at the half way point I was engrossed and finished it the next day. This book is only 218 pages long, however I think that it could have benefited from some more details and maybe more interaction with their children, I was interested in their lives also since very little is mentioned about them. 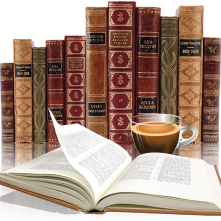 But all in all, I am glad that I read it and enjoyed it. This is my first novel by Colon Falconer and I will check out more of his writings. This book will appeal to those that like historical fiction with emphasis on the royal family. 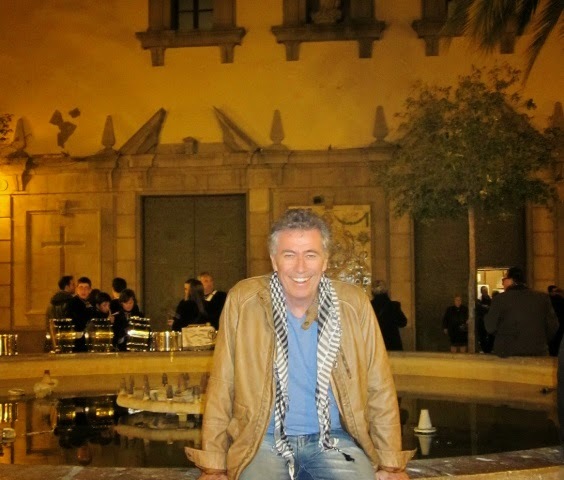 For more information please visit Colin Falconer's blog. You can also find him on Facebook or follow on Twitter. Be sure to check out the other stop on this tour. Nice review. I enjoyed this one too. 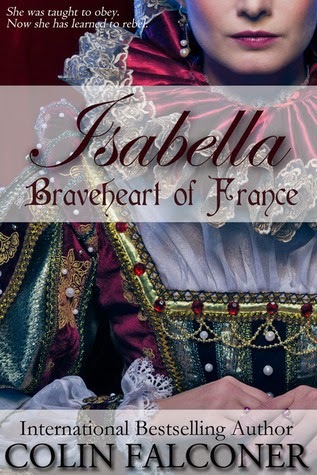 I had read very little about Isabella in the past so it was nice to learn more about her. In fact, I'm reading Maurice Druon's The Iron King right now. She is featured prominently in the Druon book so I'm extra glad I had the opportunity to read Falconer's novel first since I knew little about this period in history beforehand. Thanks Melissa, thanks also for the heads up about The Iron King. Since reading Isabella I have been on the search for more books about her and it's been a hard search.